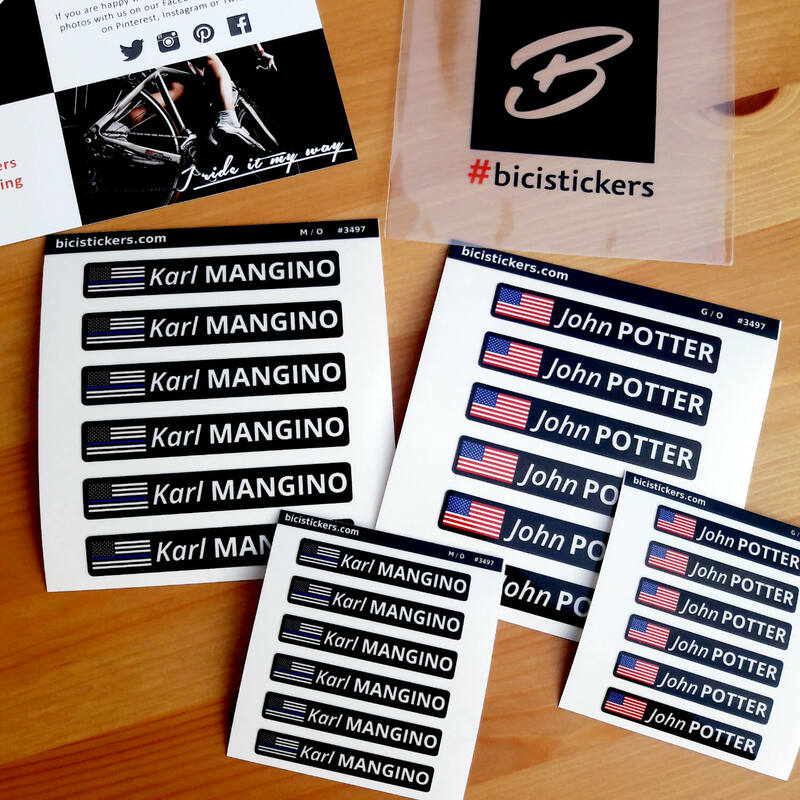 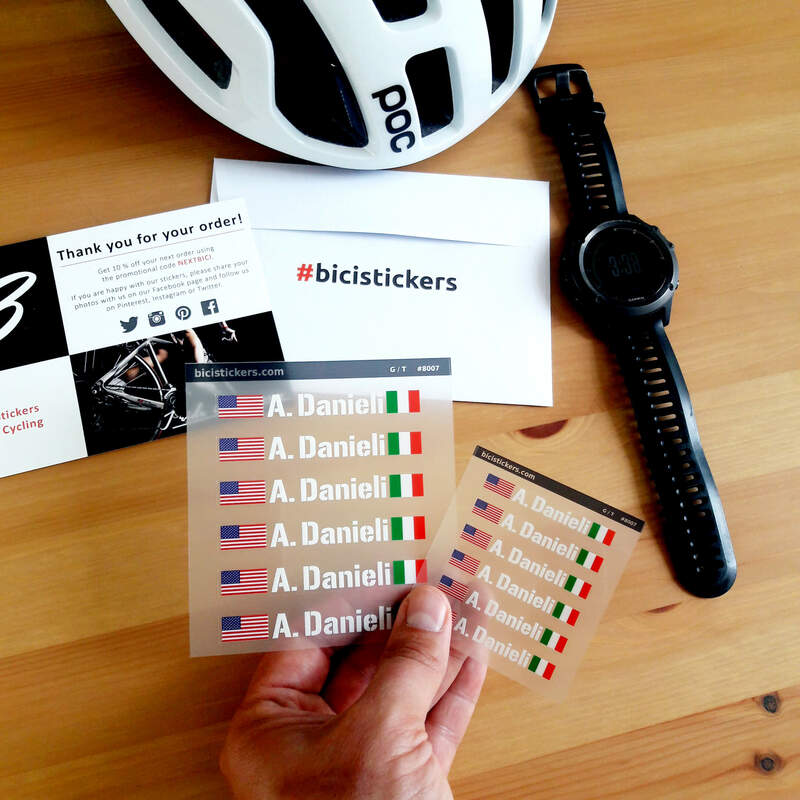 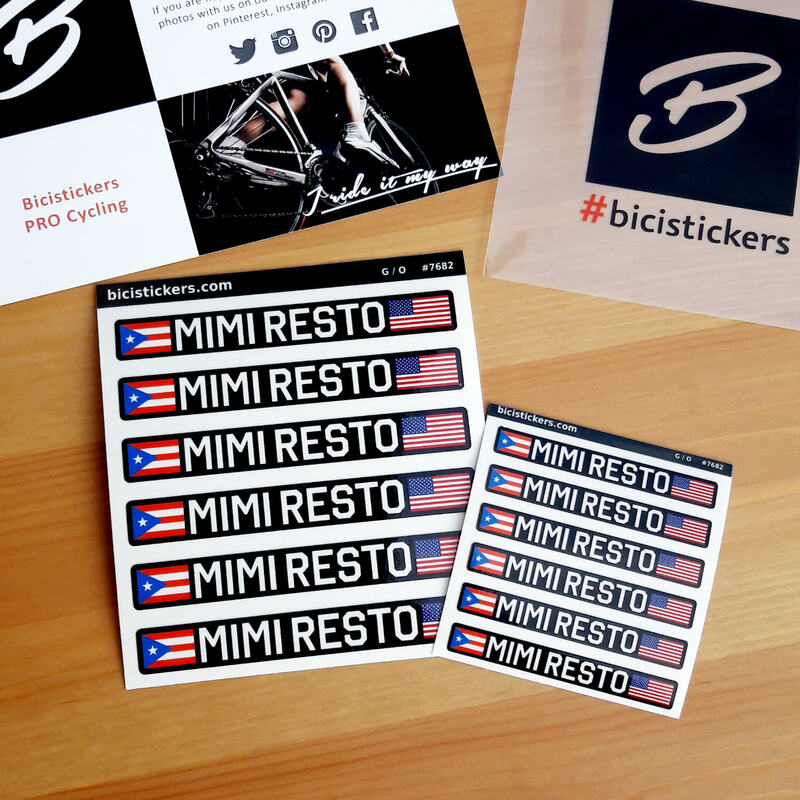 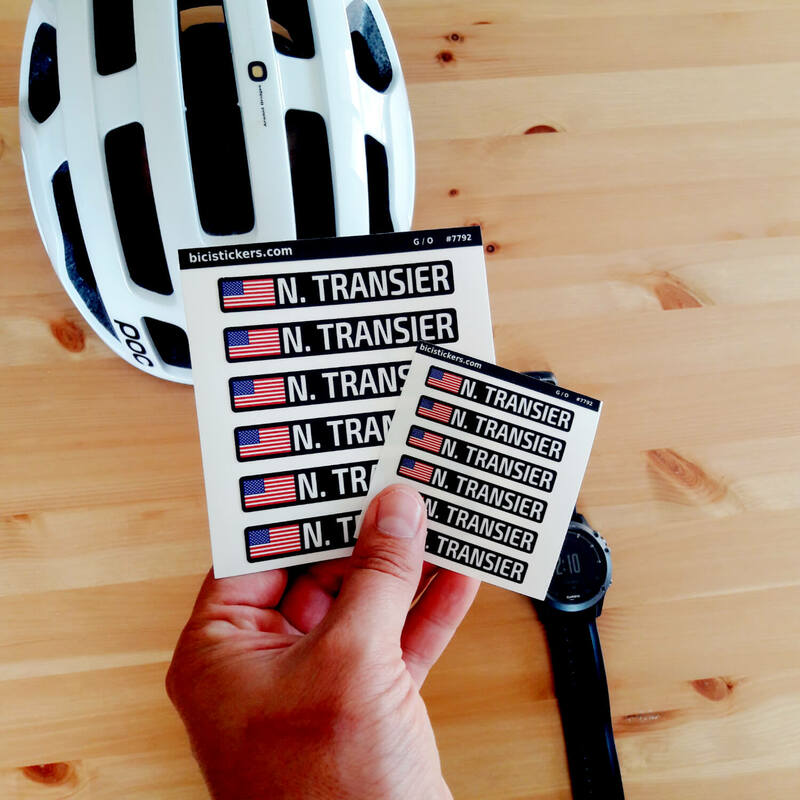 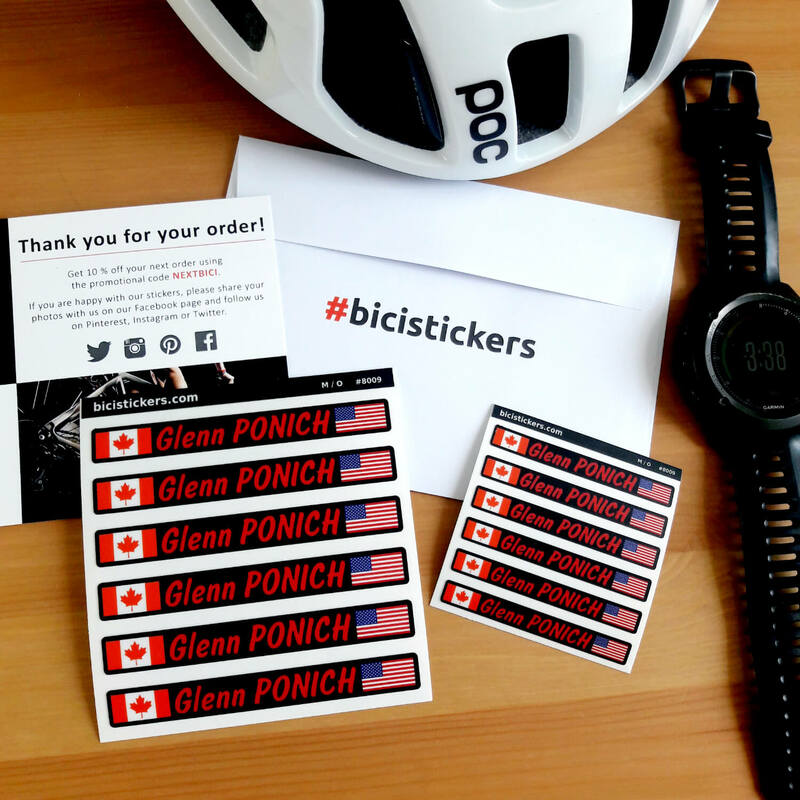 We produce bike decals for cyclists which can decorated with your name and USA flag and sticked to your bike, helmet or any other sport accessories. 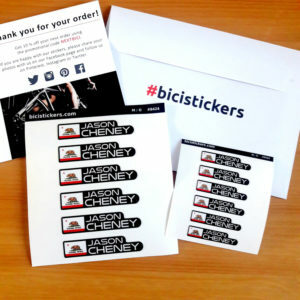 You can generate any sticker you want using our online sticker designer tool and see the live preview of your decal prior to placing an order. 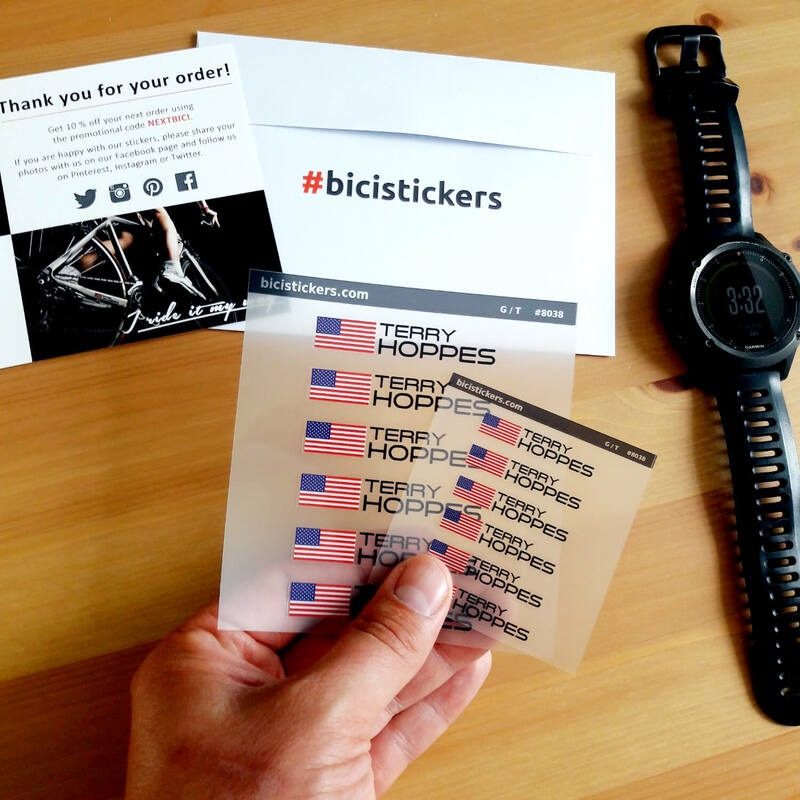 The most popular decals are with USA flag which can be printed either on transparent vinyl or on white vinyl with any colour you select. 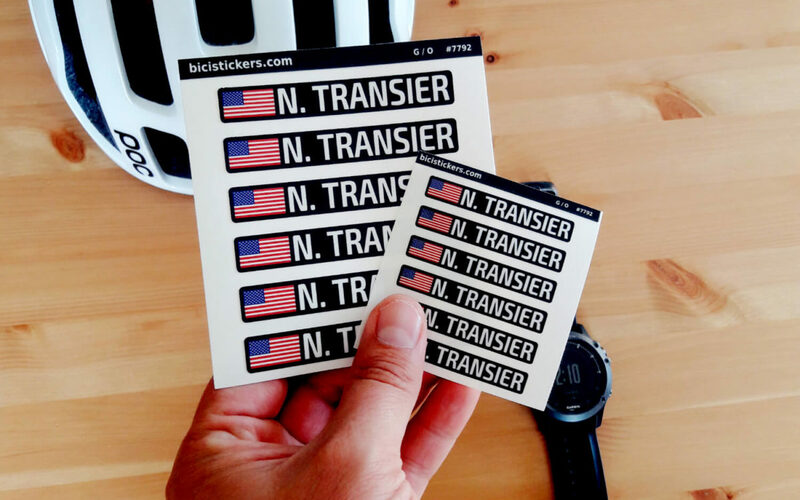 You can select not only USA flag but you can select flag of any U.S. states. 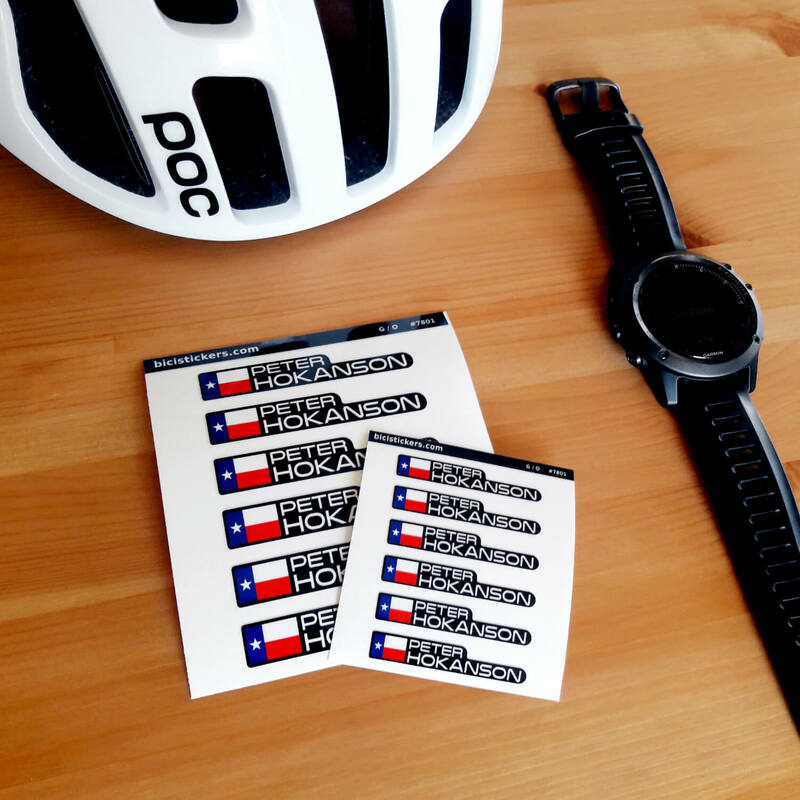 Here you can see the bike name decal with flag of Texas, Hawaii, and South Carolina. 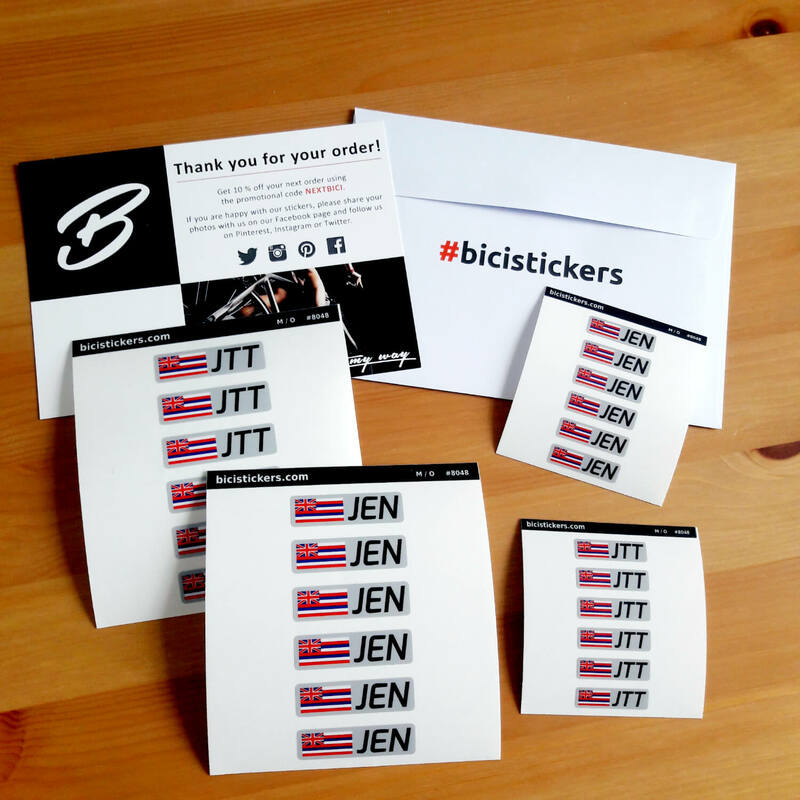 You can put the flag on the left hand side before the name or on the right hand side after the name. 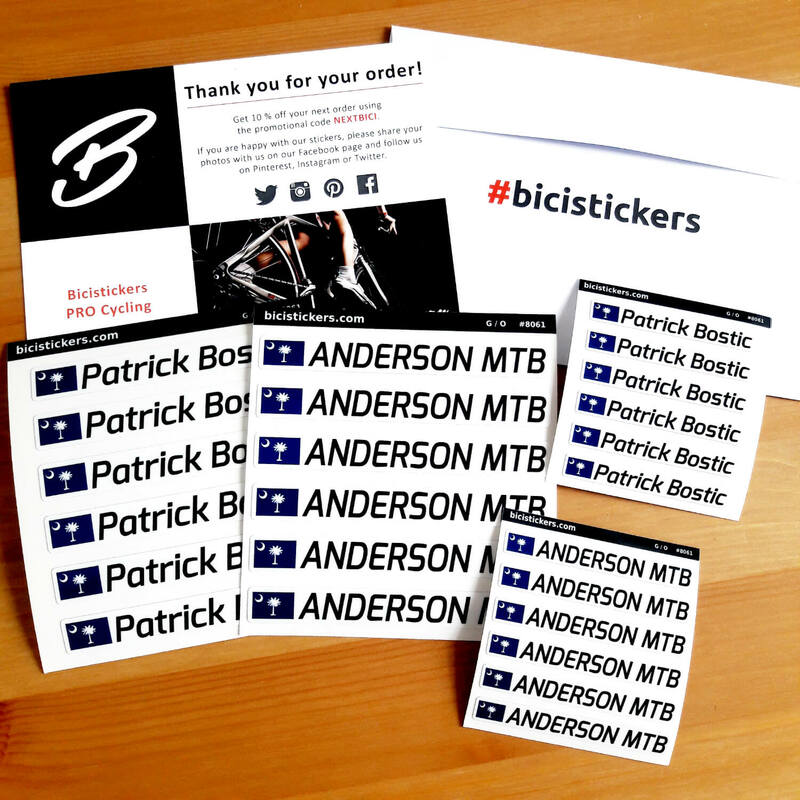 By ordering our bike decals you will get 6 larger decals which are perfect for your bicycle and 6 smaller which are perfect for your helmet. 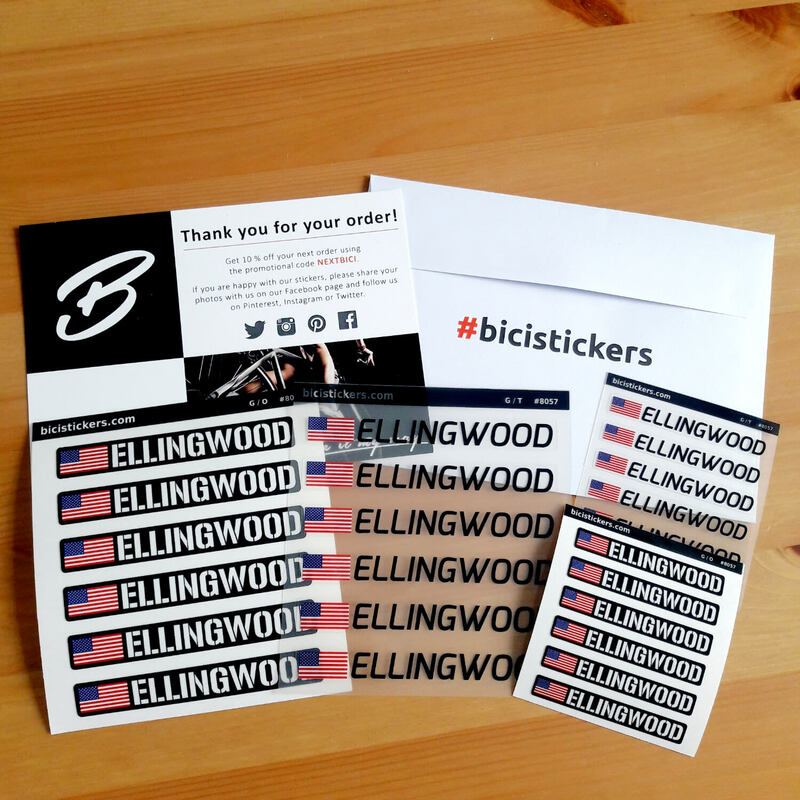 And yes, we have free shipping on all orders. 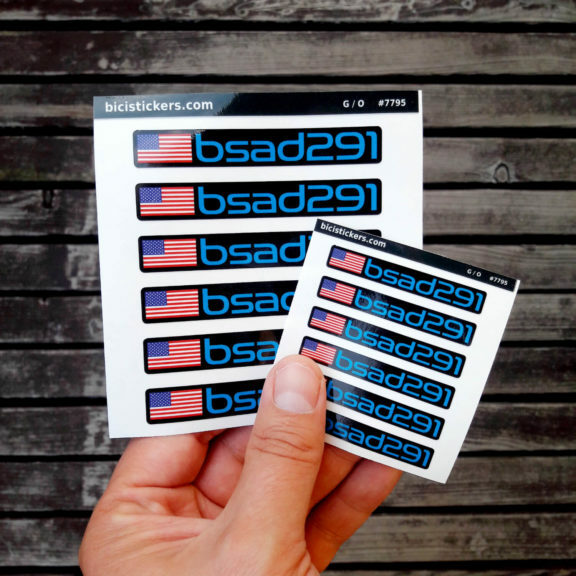 We have also recently added thin blue line flags which looks pretty good when combined with USA flag. 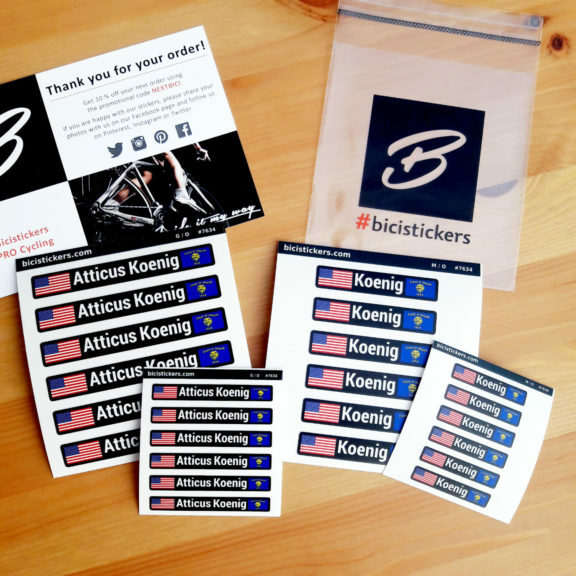 You should also bear in mind that there is a United States Flag Code which establishes advisory rules for display and care of the national flag of the United States of America.